Our Church liturgically remembers the Blessed Martyrs of Compiègne. 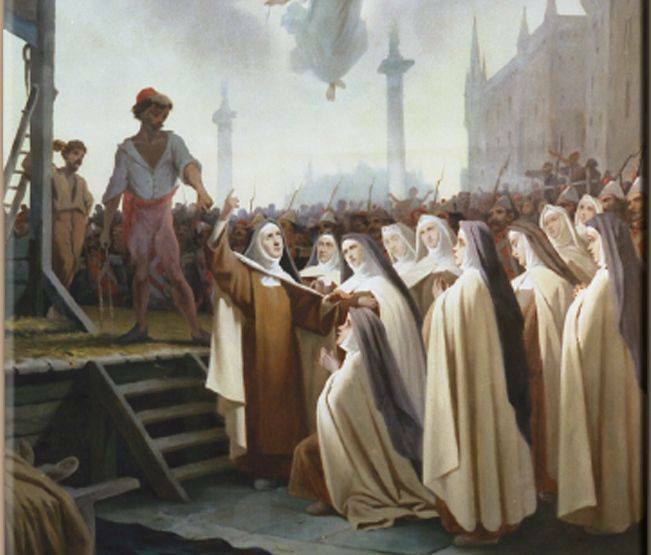 The 14 Carmelite nuns and two others were killed during the French Revolution. The women were fearless before the guillotine. Rather, they sang as each one mounted the steps to her death. Martyrs of Compiègne, pray for us. 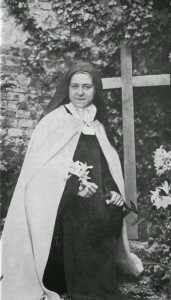 On Sunday I posted a brief piece on Saint Mariam Baourady –in the Carmelite Order she is known as Saint Mary of Jesus Crucified (read this link for more info). 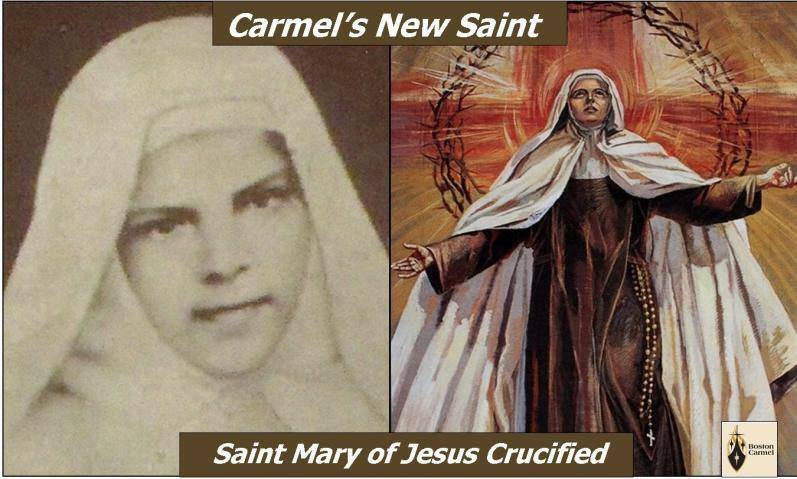 Saint Mary of Jesus Crucified has been known as “The Little Arab,” may she intercede for all those currently being religiously persecuted in the Middle East. May Saint Mary of Jesus Crucified pray for us, for the people of the Middle East. Earlier today in Rome, the Holy Father canonized some new saints. 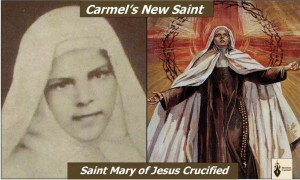 Among the 4 new saints is Saint Mariam Baouardy (5 January 1846 – 26 August 1878), a Discalced Carmelite nun of the Melkite Catholic Church. She was born to Greek Catholic parents in Ibillin, Galilee. 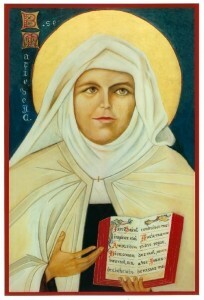 Saint Mariam had the distinguished reputation of being a mystic and a person gifted with the experience of the holy stigmata (the physical wounds in the hands and feet that Jesus suffered and which redeemed us). An essential aspect of witness to the risen Lord is unity among ourselves, his disciples, in the image of his own unity with the Father. Today too, in the Gospel, we heard Jesus’ prayer on the eve of his passion: “that they may be one, even as we are one” (Jn 17:11). From this eternal love between the Father and the Son, poured into our hearts through the Holy Spirit (cf. Rom 5:5), our mission and our fraternal communion draw strength; this love is the ever-flowing source of our joy in following the Lord along the path of his poverty, his virginity and his obedience; and this same love calls us to cultivate contemplative prayer. Sister Mariam Baouardy experienced this in an outstanding way. 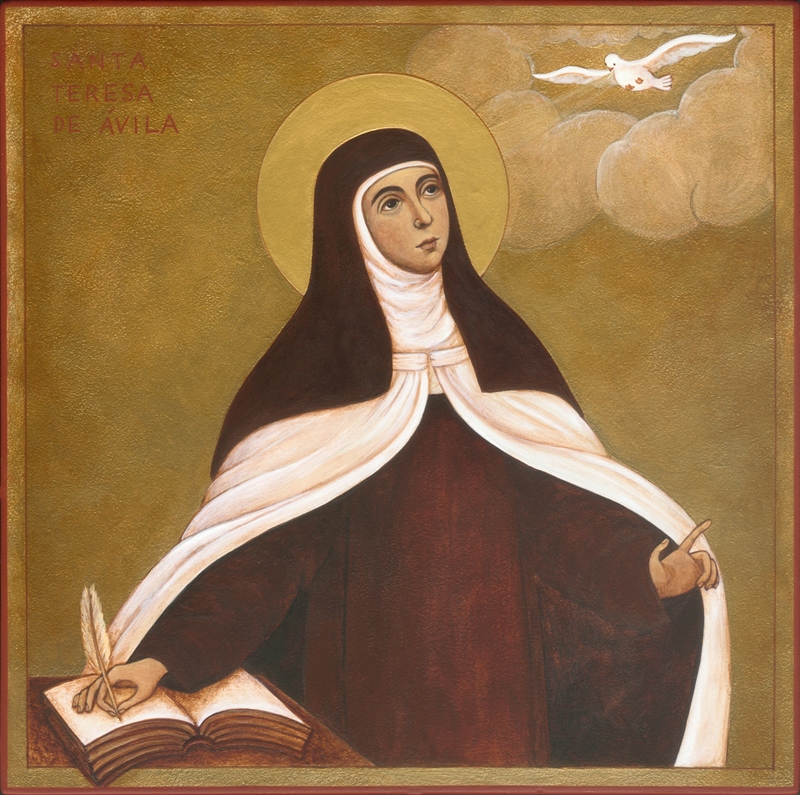 Poor and uneducated, she was able to counsel others and provide theological explanations with extreme clarity, the fruit of her constant converse with the Holy Spirit. Her docility to the Spirit also made her a means of encounter and fellowship with the Muslim world. Saint Teresa of Avila, Doctor of the Church, turns 500 today. 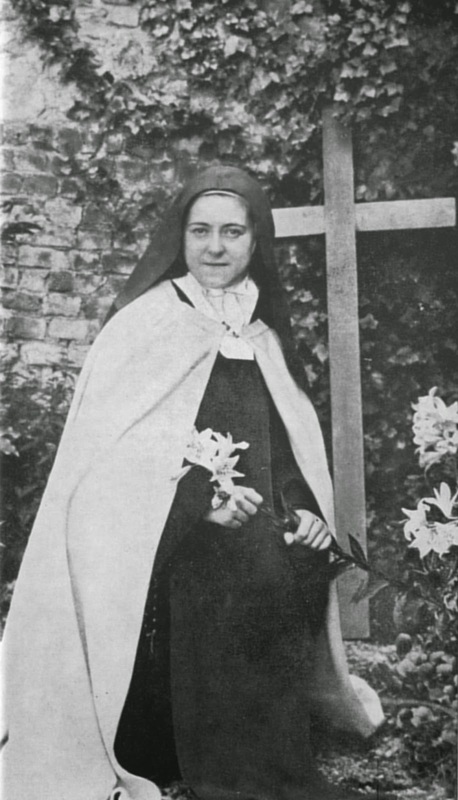 Teresa is one of the most remarkable women of the Church who stood up to the bankruptcy of many churchmen in order to follow the command of the Savior “to rebuild my Church.” She was not only brilliant thinker and teacher, a reformer but she was an intense lover of Jesus. And from this posture, she is able to touch souls. “Christ has no body now, but yours. May the Saint intercede for the missions, at home and abroad.